Observation - Female stonechat - UK and Ireland. 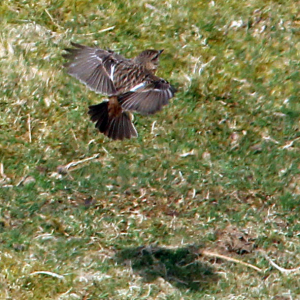 Description: Female of a pair of stonechats in a farm field, high on an open hillside. Female of a pair of stonechats in a farm field, high on an open hillside.